From shoes and dresses to jeans and belts, Treasure & Bond offers the kind of closet staples we find ourselves living in. If you’re not yet familiar with this Nordstrom-exclusive brand, know this: a portion of all sales goes toward nonprofit organizations that empower youth, which means every purchase has an impact on young people in local communities. We feel good about stocking up on their full range of easy-to-wear pieces and modern basics (and always throw in a few fun accessories, too). Treasure & Bond has an enviable collection of casual-cool summer styles that seem to fit every mood. Feeling a boho-chic vibe? They have colorful espadrilles for that. Want to flirt with menswear-inspired style? A sleek, black leather derby could be what you need. And if deciding on one pair is difficult, the brand’s affordable price point means keeping a few pairs isn’t out of the question. The look is soft, relaxed, and simple. It doesn’t get easier than throwing on a buttery-soft tee or a breezy top with jeans. 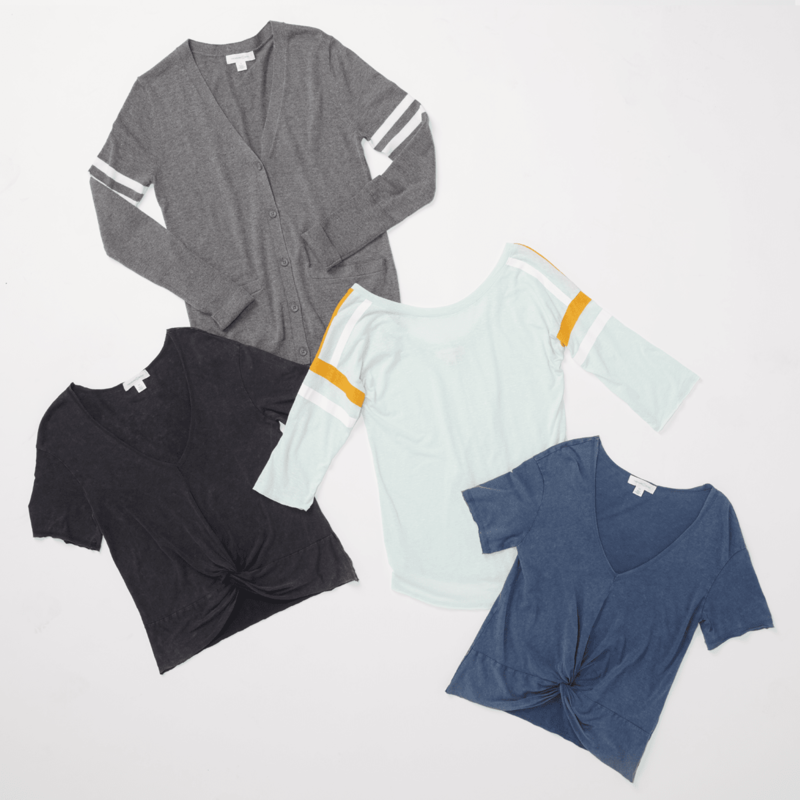 Also excellent for layering, these tops are a neutral canvas for statement accessories. Just add a Treasure & Bond floral scarf or an embellished, decorative belt to change up your look. When building a closet, consider stocking up on versatile dresses—they’ll quickly become the workhorses of your wardrobe. Treasure & Bond is known for comfy-chic dresses you can wear from a work day to date night to a picnic with friends. 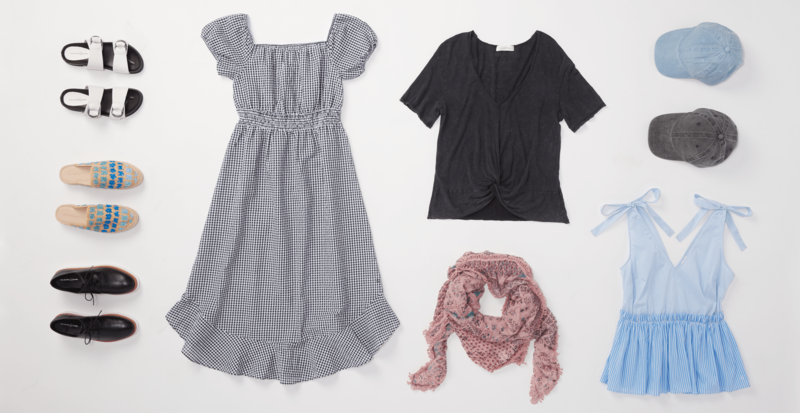 Look for pieces with eye-catching details like ruffles or knots that add a playful sweetness.